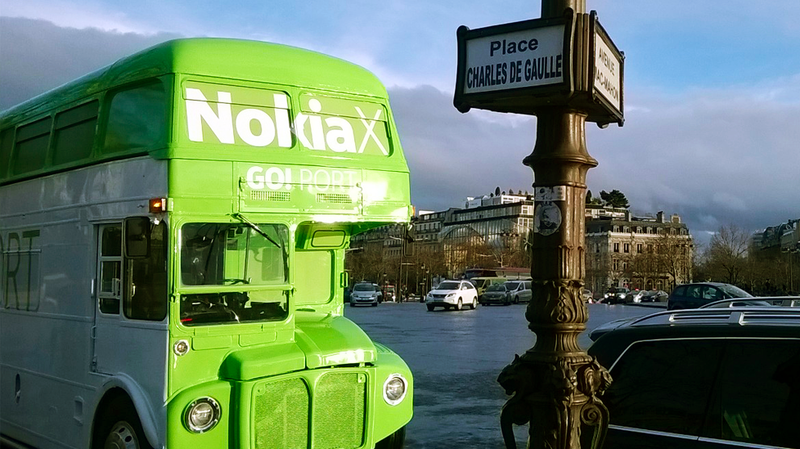 Gramafilm embarked on a cross European expedition helping developers to port their apps to Nokia X. Traveling in the self renovated London Routemaster bus, complete with a top deck app porting room and lower deck Xbox hang out zone, 'The Beast' was pimped out to a level that would’ve brought a proud tear to the eyes of Tim Westwood himself. The tech-laden beast rolled from city to city traversing through the snowy Alps giving x-pert guidance to local developers, and along the way helping to successfully port 100’s of apps to the new Nokia X platform. Gramafilm kitted the bus out with state of the art bonded 4g wifi, Xboxes, HD screens throughout and painted, branded and wrapped it in the brand new Nokia X livery. The events team choreographed the full European tour arranging locations, crew and logistics as well as staging the grand unveiling at Mobile World Congress 2014.